Hereby sign this Bilateral Defence and Trade Agreement. The objective of this Pact is to officially state that a deep bond of brotherhood exists between these two nations as well as to establish a clear foundation regarding cooperation in defence, security and trade matters. The Parties that have signed this document hereby promise to attempt to settle all disputes which they are involved in on the international scale peacefully, without resorting to the use of force of arms. They pledge to do this until all other means and alternatives have been attempted and determined to be unfruitful, so that international peace, security and justice are not endangered unless necessary. The Parties will consult together whenever, in the opinion of either of them, the political independence, territorial integrity or security of either of the Parties is threatened by external hostile forces. Separately and jointly, by self help and mutual aid, the Parties will maintain and develop appropriate means to deter armed attack and will take suitable measures in consultation and agreement to implement this Treaty and to further its purposes. Each Party recognizes that an armed attack from the international community on either of the Party’s sovereign territory now under their respective administrative control, or hereafter recognized by one of the Parties as lawfully brought under the administrative control of the other, would be dangerous to its own peace and safety and declares that it would act to meet the common danger in accordance with its constitutional processes. The Parties will endeavour to eradicate domestic protective trade barriers, which may take the form of tariffs, quotas or subsidies. Both Parties acknowledge the archaic nature of these measures and desire to promote free, unrestricted trade as to benefit all Parties economically, thusly developing a closer integration of economic systems. The Parties grant the rite of passage to all signatories land, air and sea forces in and about the territory of these two nations as determined by mutual agreement. This Treaty shall be ratified by the Grand Imperial Empire of Tergnitz and the The Absolute Royal Federation of Imeriata in accordance with their respective constitutional processes and will come into force when instruments of ratification thereof have been exchanged by them in Pretoria, Tergnitz. X. [ By Signatory, of Representative Augustus Tiberian Vera I of the Imperial Dominion of Tergnitz, 9:34 am, 8th August 2010. Last edited by Tergnitz on Mon Sep 06, 2010 5:10 am, edited 5 times in total. From: Lord Edward auf stjärnhelm of the Royal Foreign relation advisory. Regarding: negotiation of the terms of the "vow of honour"
"the parties that have signed this document hereby promise to attempt to settle all conflicts on an international scale peacefully and without the force of arms until all other means and alternatives have been attempted and unfruitful to further enhance that the international peace and security and justice are not endangered unless necessary". 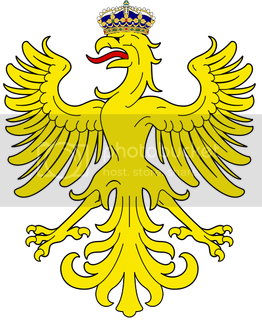 I have otherwise the reasurment that his royal highness will gladly sign this treaty otherwise and both him and I hope that this is but the first steps towards even greater official relations between the absolute royal federation of Imeriata and her realms and the Grand Imperial Empire of Tergnitz. Signed and approved by: His royal Highness Oskar rex Caesar II by the grace of the gods high king of the absolute royal federation, the descendant of the first Imerian high kings especially and foremost Emanuel the first, the carrier of the royal sword first carried by the demigod Belrion son of Bel, the protector of the federal crown jewels and patriarch of the noble house auf stjänkhrone and protector of the realms as king of Imeriata, Vedian, Erathia and Northern Taranakan also the duke of Northern Venezue and Sthalinge, The lord regent of the colony of Nova Imeriata, Imerian Africa, Angland and of the two peninsulas of Tvaude also by the right of his birth high marshal of the royal guard. Last edited by Imeriata on Thu Jul 08, 2010 3:52 am, edited 1 time in total. So what? Let me indulge my oversized ego for a moment! Astralsideria wrote: You, sir, are the greatest who ever did set foot upon this earth. If there were an appropriate emoticon, I would take my hat off to you. Altamirus wrote: ^War! War! I want to see 18th century soldiers go up againist flaming cats! Do it Imeriata! Do it Now! Of course, Imeriata focuses on the important things in life. Willing to help with all your MS paint related troubles. “The Parties that have signed this document hereby promise to attempt to settle all disputes which they are involved in on the international scale peacefully, without resorting to the use of force of arms. They pledge to do this until all other means and alternatives have been attempted and determined to be unfruitful, so that international peace, security and justice are not endangered unless necessary". It is the sincerest hope of the Empire that this amended Article meets the demands of High Royal Highness. From: Lord Edward auf stjärnhelm speaker of the Royal Foreign relation advisory. Regarding: Reply to: negotiation of the terms of the "vow of honour"
I am most pleased as the negotiations between our two nations seem to take fruits according this treaty however so has the absolute royal federation still the feeling that some articles should be changed. At first so are we despite the changes (that we ourself wrote) to article one is a bit restricting as it would make it impossible to expand the influence in the name of peace and better rule of both the Grand Imperial Empire and the absolute royal federation. It would also make it impossible to liberate nations that suffered under genocidal regimes and nations deemed by both parties to be both or either politically unstable and otherwise anti-royalty that could in the future (but do not at the present for any number of reasons) pose a threat to either party signing this great and noble treaty. Another question the federation have is regarding article four do the "The Parties will endeavour to eradicate domestic protective trade barriers, which may take the form of tariffs, quotas or subsidies" includes tariffs, quotas and subsidies between just both parties signing the wow of honour treaty or will it also include all members of the international community. If it does indeed referee to the later so would that be an impossible due to numerous treaties between the crown of the absolute royal federation and that of the individual realms and the royal merchant guild. If it does only mean the earlier alternative so would that be a manageable issue despite some minor sacrifices that the crown must take and will willingly take in renewed negotiations with the guild. Last edited by Imeriata on Thu Jul 08, 2010 3:58 am, edited 1 time in total. Regarding your inquiry as to the precise nature of the wording of Article IV, the removal of protectionist trade barriers is simply in regards to the parties who are signatories to this treaty. However in saying that, the Empire does advocate for the removal of all Imeriatan protectionist barriers to the international community, however this is simply the economic preference of the Imperial Government and is not included in Article IV. In is excellent to see that the Crown is prepared to open the Imeriatan domestic economy to foreign competition from the Empire, which will only serve to make a wider variety of goods and services available to the Imeriatan people. Regarding: Reply to: Reply to: negotiation of the terms of the "vow of honour"
As the adding of paragraph A to article I in previously mentioned treaty makes the harsh duty of civilized nations to spread the light to darkness when it is required of us possible, so can I proudly say that the Article 1 now finally is considered acceptable in the eyes of his royal highness and the absolute royal federation. Which gives the power over the economy to the merchant guild, while the federation does have the power to force the issue so would we rather see negotiations between the empire and the merchant guild as that would allow us to keep the non-interference policy the crown have towards her domestic economy. The federation would if this were acceptable be more than willing to arrange a meeting between the merchant guild and The Grand Imperial Empire and act as both an advisor to the Grand Imperial Empire and as a mediator in the negotiations. Signed and approved by: His royal Highness Oskar rex Caesar II by the grace of the gods high king of the absolute royal federation, the descendant of the first Imerian high kings especially and foremost Emanuel the first, the carrier of the royal sword first carried by the demigod Belrion son of Bel, the protector of the federal crown jewels and patriarch of the noble house auf stjänkhrone and protector of the realms as king of Imeriata, Vedian, Erathia, Northern Taranakan and Andervel also the duke of Northern Venezue and Sthalinge, The lord regent of the colony of Nova Imeriata, Imerian Africa, Angland and of the two peninsulas of Tvaude also by the right of his birth high marshal of the royal guard. It is excellent to hear that both of our government are now satisfied with the exact wording and connotations of Article I, as it promotes peace, diplomacy and mutual-engagement with the rest of the world, without restricting the possible range of options available to our governments. Regarding Article IV, it is unfortunate that this clashes with a previous royal decree in Imeriata, yet at this time the Empire is unwilling to compromise the core integrity of this Article. For this treaty to be approved by the Imperial Senate, before being ratified by His Imperial Majesty, the Empire must be assured that all protectionist barriers to Tergnitzian trade currently standing in Imeriata are struck down within this financial year. The Imperial Foreign and Commerce Ministries would be able to enter a round of negotiations with the Merchant Guild, and would appreciate any advisory role that the Imeriatan Crown could play. However, these negotiations would exist simply to determine the precise details of the trade arrangement between our nations. A firm commitment from the Imeriatan Crown, regarding a promise to abolish protectionist trade barriers, must be obtained before negotiations over trade details can begin or negotiations regarding this treaty can continue. Regarding: Reply to: Reply to: Reply to: negotiation of the terms of the "vow of honour"
While the absolute royal federation is reluctant so is she still willing to compromise and are as a result willing to accept the Grand Imperial empires version of article IV. With that being said so are the absolute royal federation of Imeriata and her realms with the blessing of her ruler his royal highness Oskar rex Caesar II with most sincere joy and hopes for the future to sign the "vow of honour" treaty in the name of the bright shared future of both the Absolute Royal Federation of Imeriata and her realms and the Grand Imperial Empire of Tergnitz.